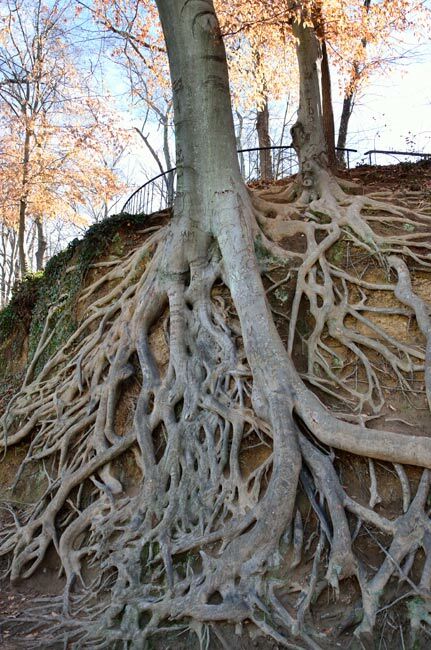 Also known as the “Root Tree,” this magnificent old tree with exposed roots crowns the Swamp Rabbit Trail in downtown Greenville, a walkway that leads you through Falls Park. Visitors to the park can also enjoy its landscaped gardens, scenic views atop the Liberty Bridge, and of course, the picturesque Reedy River Falls. The tree sits on the edge of the park but is actually on the property of the Governor’s School for the Arts and Humanities, a state-supported residential high school concentrating on the arts. The tree, an American beech (Fagus grandifolia), is estimated to be around 70 years old. It was likely planted in the former Furman University arboretum, which was established here in 1929 and flourished under the guidance of the Greenville Garden Club, which began planting trees in the arboretum in 1932. The site of the former arboretum is now known as Little Falls Park. 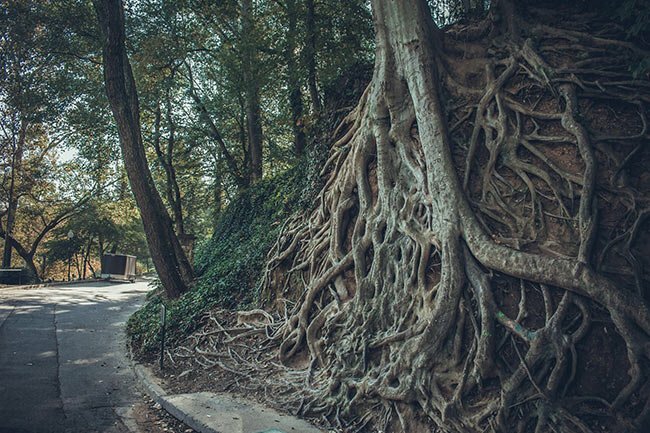 Horticulturalists suspect that the tree’s roots became exposed during the construction of Furman College Way, the former road – now a foot trail – that winds by the impressive tree. The beech has become a favorite Greenville landmark for people to photograph. 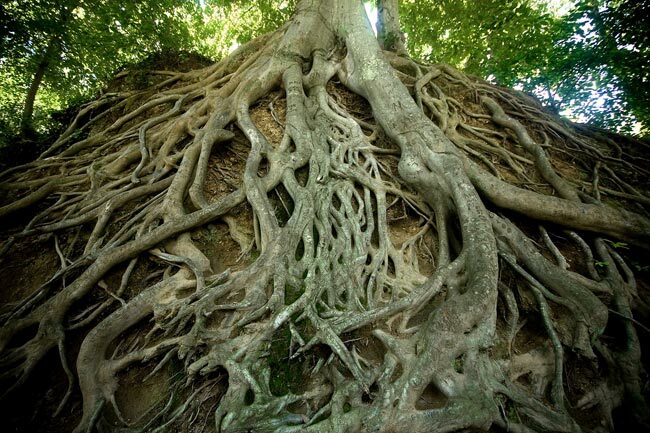 However, its popularity has resulted in minor vandalism, such as people carving their names in the tree’s majestic roots. Still, as long as the bank on which the tree grows remains healthy and does not erode, the tree should continue to thrive in its beautiful downtown oasis. Check out Mosley Hardy‘s neat interactive gigapan of the Medusa Tree, and then view more pictures of other renowned South Carolina Trees. Candie, the Children’s Museum is great for the young crowd and still fun for the parents. There is also a Children’s Garden at Linky Stone Park. Both are downtown. I am from the Lake Norman, NC area & we would like to take a day trip down to Greenville, SC soon to see this tree in person & the park. As I mentioned, it’s only going to be a day trip & we won’t have a whole lot of time. We’re also planning on taking a few YOUNG CHILDREN, under 5yrs old, & we don’t know if there are any other outdoor attractions fairly close or nearby to The Medusa Tree, Falls Park, Reedy River Falls, & Liberty Bridge, that would be worth the time to stop by & check out with the kids. Does anyone who lives around this area, or has visited this area, have any suggestions for us? It would be greatly appreciated! This is such a beauty to see in person. Greenville has some remarkable trees!